Man alive people, I'm sorry the desktop is late! I have a million good excuses that mostly come down to LIFE, but it's finally here and ready for download! 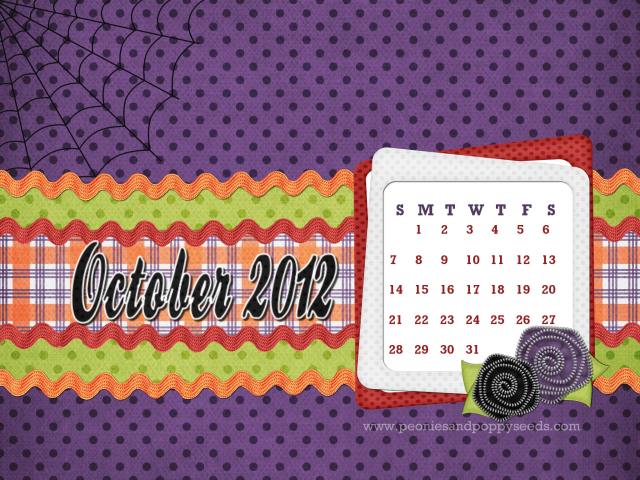 October is my FAVORITE mostly because I love Halloween SO SO MUCH! (All the fun, with none of the pressure!) This month's desktop makes use of the Little Ghoulies kit by Just So Scrappy, but it's not TOO Halloween-y, so hopefully you all can enjoy it! As always, the desktop comes in two sizes, so make sure you grab the one that fits your monitor best. COMING SOON: I made a totally cute Perry the Platypus costume, and I'm going to show you how I did it.